The new Dubai store is a stunner. Rather than loads of glass and steel, the crowning architectural achievement of Apple’s new Dubai store is its motorized carbon fiber windows. Apple revealed the store’s “Solar Wings” today, and they’re one of the coolest features we’ve ever seen. The automated system is designed to minimize air conditioning usage in the United Arab Emirates store, but the most impressive feature is the way the system opens and closes. Prepare to be mesmerized! Apple says the windows were inspired by the traditional Arabic mashrabiya. Each of the 18 panels is 37.5 feet high. Together, they make up one of the world’s largest kinetic art installations. The windows open during the evenings as a way to welcome people into the public terrace, which is just across the street from the Burj Khalifa. The 186-foot-long curved storefront and balcony provide great views to the world’s tallest skyscraper. Ahrendts says Apple’s goal is to make its stores feel like modern-day town squares. 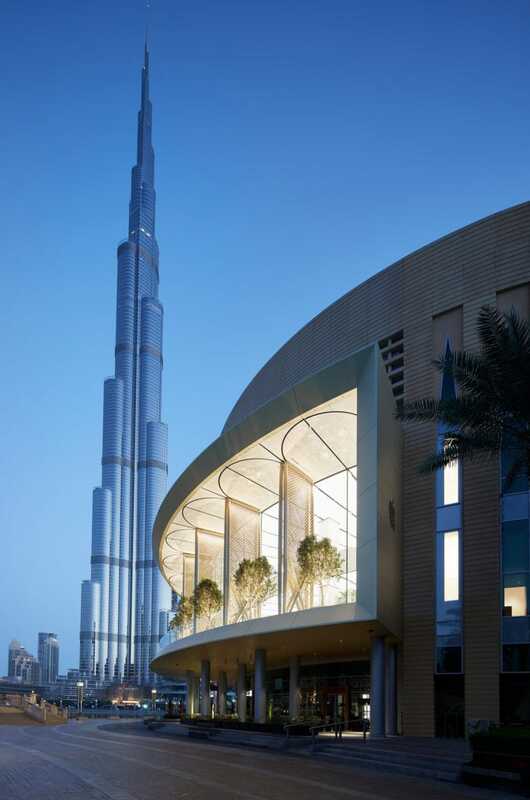 Apple’s new Dubai store will be open to the public starting April 27.